CELLO CASES - MODEL "RESONAT"
Cello case made of fiberglass that can be transported using wheels. It’s produced in wide range of metallic colours. It has very convinient backpack straps fixed in 6 places, what makes it stable and seem even lighter. Outside of the cello case is finished with attractive shine, what can make it more liable to scratches and similar damages. 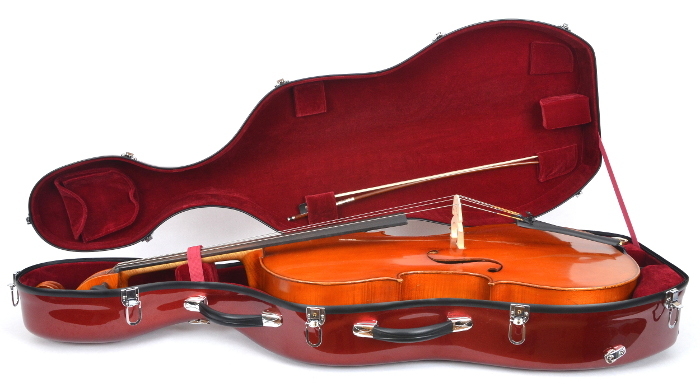 This case for cello is made for people who can easily take care of used objects.